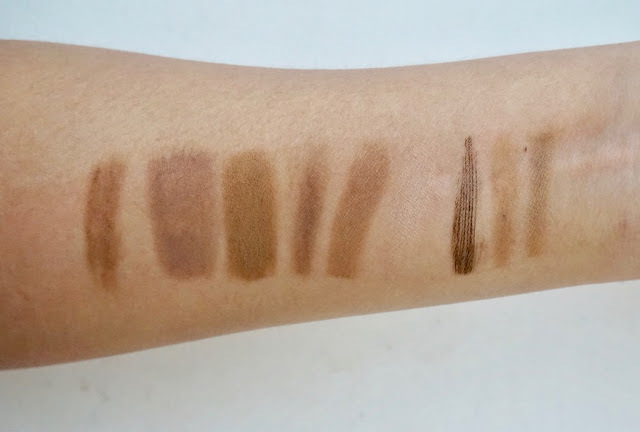 Here's a review on Maybelline brow products. Hear ye! Hear ye! Reviewing five of Maybelline's hottest brow products so let's stop beating 'round the bush and begin, aye? 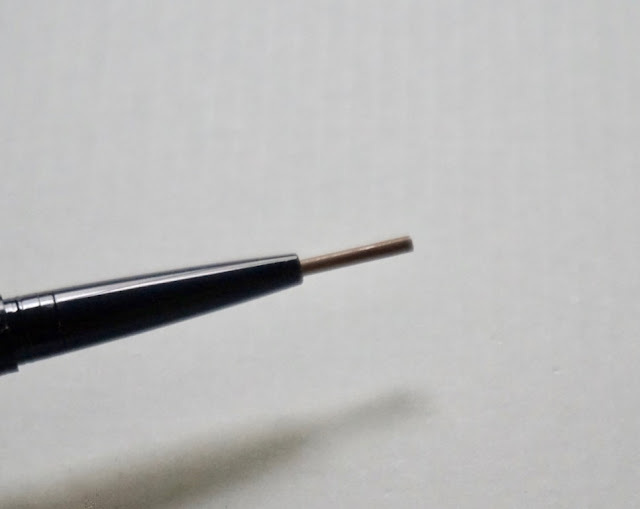 Fashion Brow 3D Cream Pencil has a unique edge; reminds me a lot of Make Up For Ever Brow Pencil; the dipping portion of the pencil lets you fill in your brows quickly and evenly. Brow Precise Fiber Volumizer is a brow gel with fibers that add dimension and volume to the brows; it has a unique tapered spoon brush; I actually like this brush because it leave no brow uncovered, plus the spoon configuration helps with controlled distribution of the product. Fashion Brow Duo Shaper is a dual ended eyebrow product with a soft automatic pencil and eyebrow powder; great for achieving a dramatic brow. Click HERE for my detailed review. 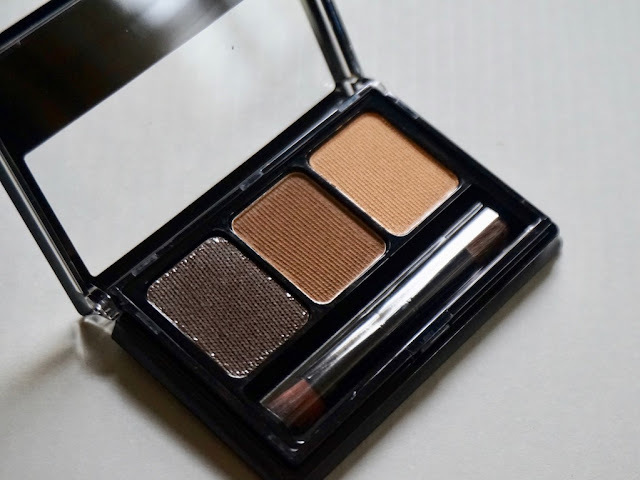 Fashion Brow Palette features 3 brow products: 1 cream-powder wax and 2 powders. 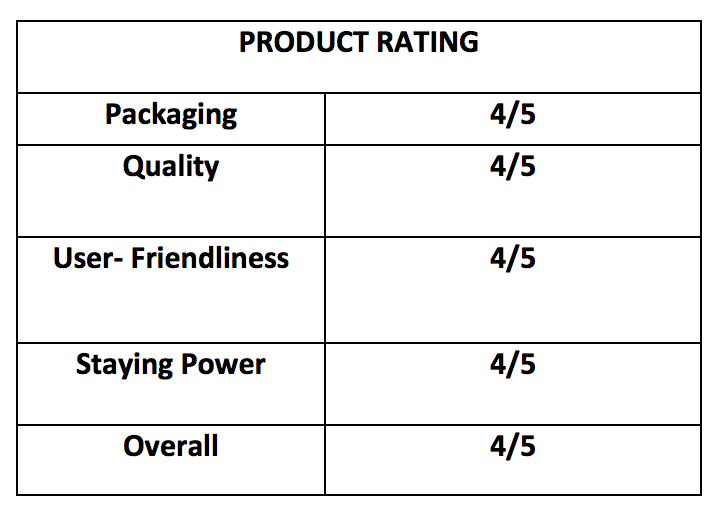 Click HERE for my detailed review. 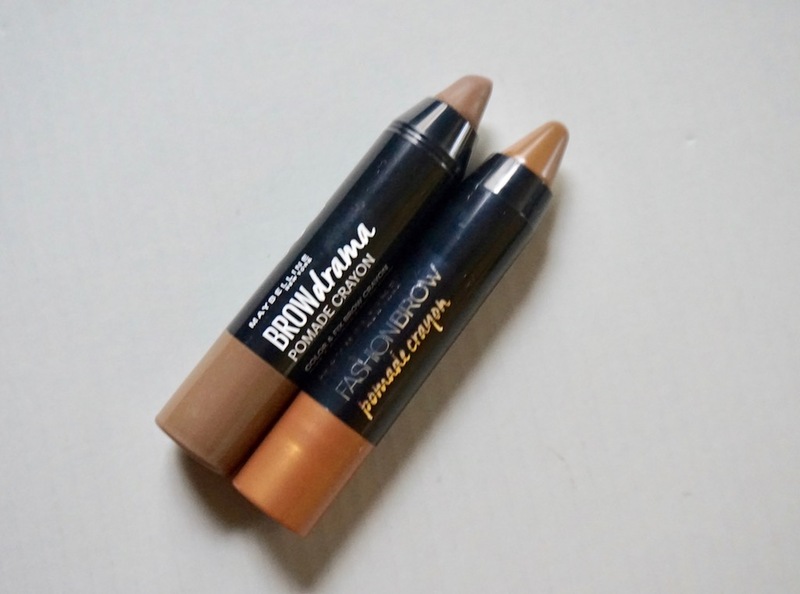 Fashion Brow Pomade is like brow gel in pencil form; I got mine, Brow Drama Pomade Crayon, in Australia even before the local version was released. It's a retractable gel crayon with a soft, pigmented finish. 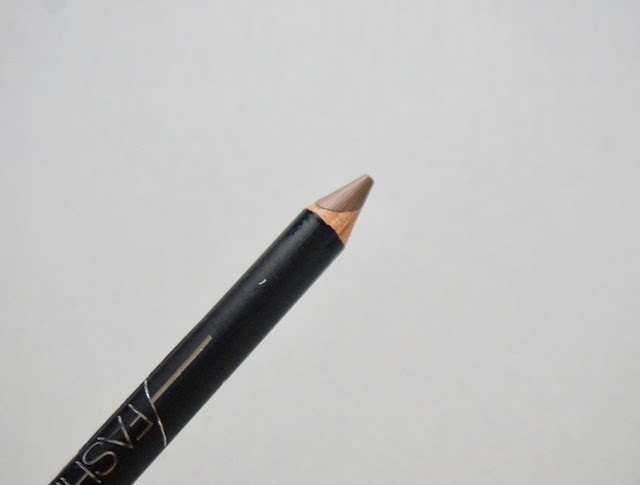 Correct me if I'm wrong, but I think we only have one shade for 3D Cream Pencil which is Light Brown; I find it a bit light for my skin tone and the pencil is stiff in the beginning and needs to be warmed up for a little for it to apply smoothly; just rub it for a couple of times on the back of your hand to get it going; it has decent staying power and can last the whole day with little to no fading. Brow Drama Pomade is soft and doesn't need any warming up; it glides on smoothly and gives you full brows in a few swipes. Best for sparse brows, but I wouldn't recommend it for bushy brows because it's pigmented and the slightly waxy texture may clump on brows. This product comes in 4 shades. 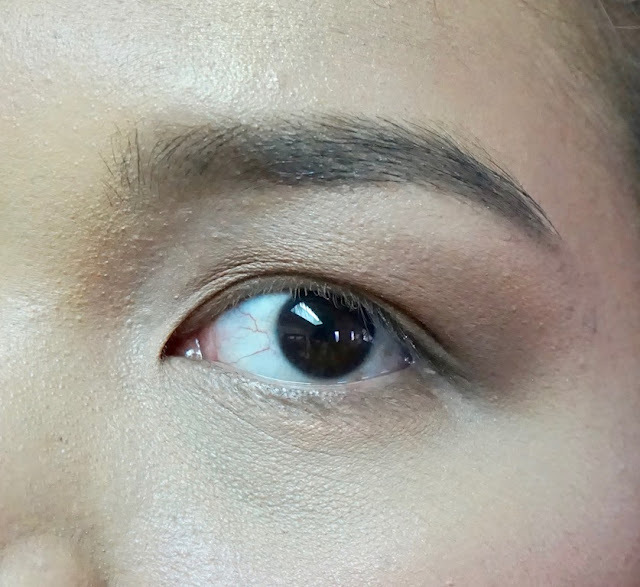 Brow Precise Fiber Volumizer has cray staying power; I used it for a feathered brow look and the strands on the edge of my brows stood up the whole day; I also like that it adds volume to my brows without adding too much color, thanks to the fibers. 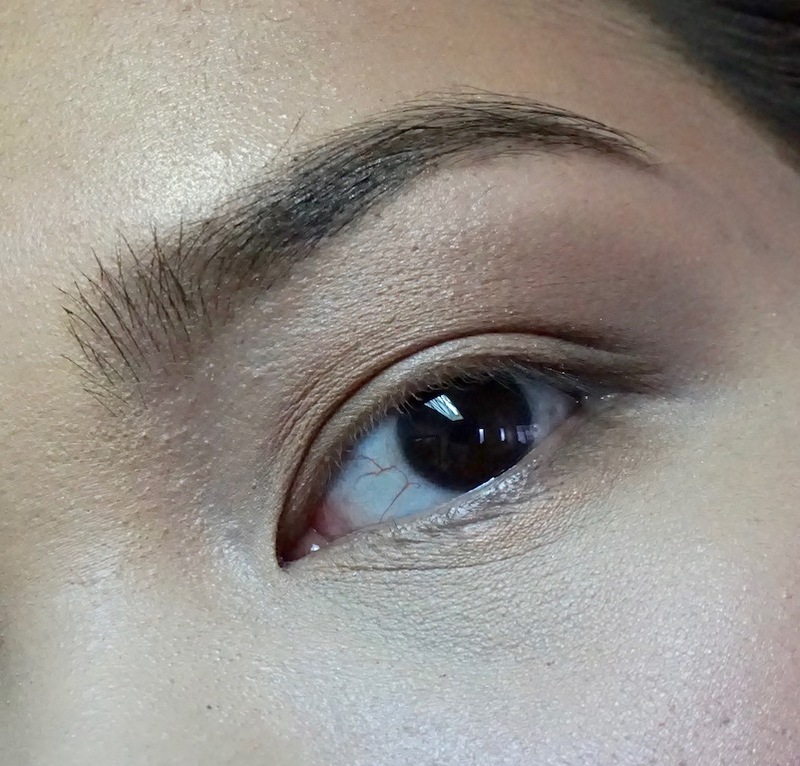 I used Brow Drama Pomade Crayon here because its shade suits me, which is Medium Brown. I love using this when I'm in a hurry, but I want dramatic brows. Staying power is good and it holds up on my combination skin the whole day. Used Brow Precise Fiber Volumizer here; loves the hold it gives to my brows: sturdy, but not stiff. My faves from this collection are the brow gel, brow pomade, and brow palette. Highly recommend these! Kudos to Maybelline for giving beauties on a budget a chance to have brows on fleek with this diverse brow collection! Please visit MAYBELLINE PHILIPPINES on Facebook for more details. 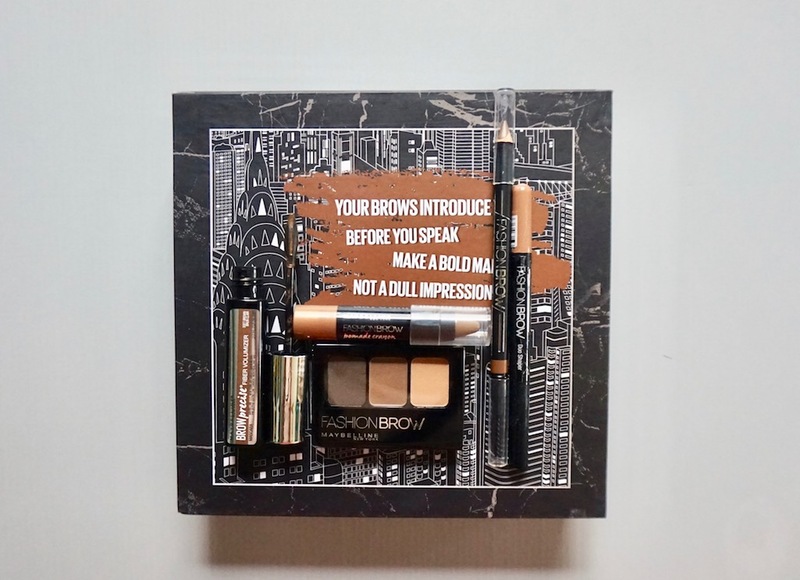 Among those eyebrow products I've only tried the Fashion Brow Duo. I'm quite disappointed about it coz eventhough I'm so careful in using and storing in my kikay kit thus it ends up broken. The pencil can easily broke. Niw I just use the powder with my other eyebrow pencil. Gust ko po yung maybelline makeups dahi; maganda at affordable. Gusto ko gamitin yung Fashion Brow Duo Shap dahil talagang natural look lan peg niya sa kilay ko pero hinde na ko bumili ulet dahil napuputol kagad xa. madiin siguro kase ako maglagay. awww sad to hear about that. Hope maybelline reads this comment! My all time fave from those is the Fashion Brow Palette! 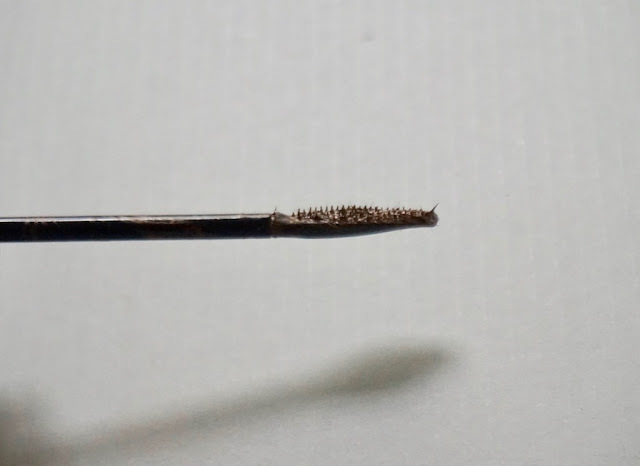 I've used it ever since with a different angle brush from Marionaud. :) I ran out of the brow wax (darkest shade from the palette) so I thought of buying another one. Unfortunately, it's a little pricey for me since I only wanted the wax part. Meron pa kasi ako nung 2 lighter shades. Yung wax lang talaga kailangan ko po. :( Si decided to just buy the Maybelline Crayon Liner that has a shade that's almost exactly like the shade of the wax in the palette and it works just fine! I usually just sharpen it and put it on the part of the palette where the original brown wax once was. And repeat until I can use my angle brush on it again! Works just as good. Thanks for this, Ms. Martha!